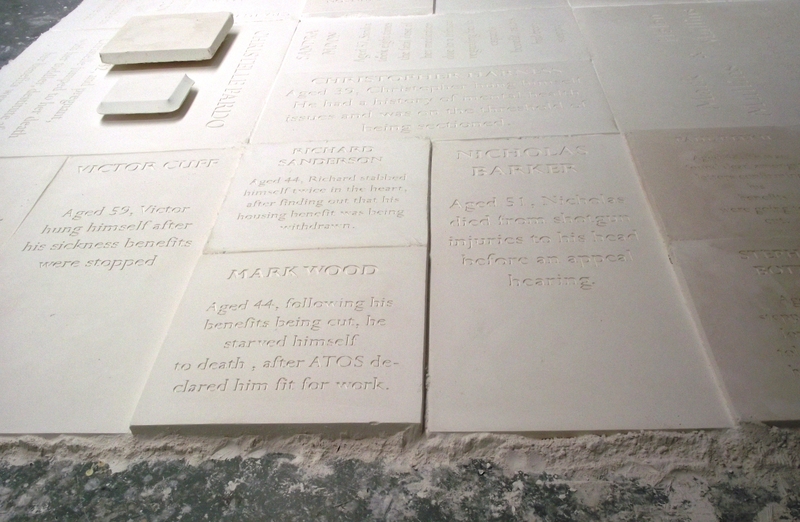 A UK artist has created an art installation as a memorial to the suicide victims of welfare reform. The response was that it should be unlikely if she informed the media. 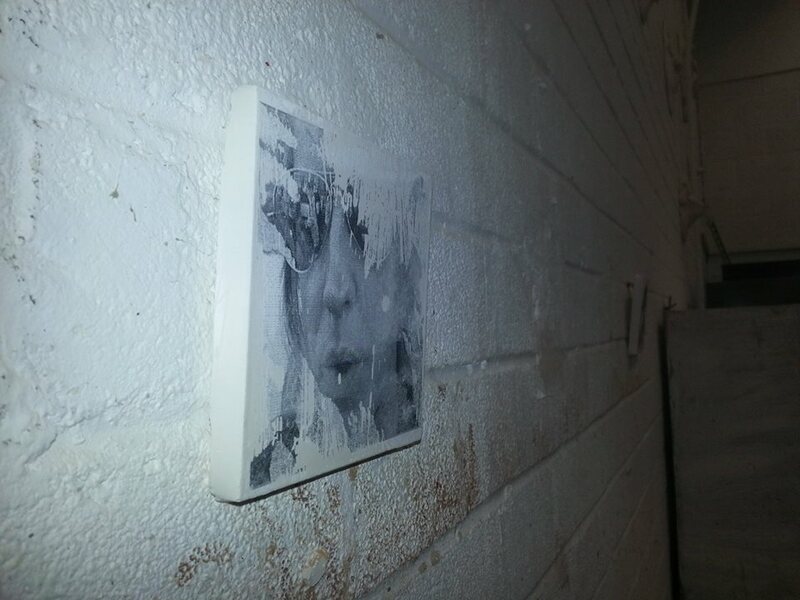 The artworks have been displayed at the Northampton Degree Show and are currently at the Free Range Exhibition at the Old Truman Brewery building in Brick Lane, London, which ends tomorrow (June 30). Entry is free and the installation will be located in F Block, B5. “I have become an artist later on in life,” Melanie told Vox Political. “I was a carer for my son and, a few decades later, my father. I have worked most of my life too, raising three children. “Only recently, while studying fine art at University I found my health deteriorating. I have a cocktail of conditions – Type 1 diabetes (diagnosed last year), Coeliac disease, asthma, rheumatoid or psoriatic arthritis (currently being investigated), osteoarthritis, psoriasis and a brain tumour (thankfully benign and inactive). I have also lived with depression for almost all my adult life. “I wanted my work to articulate how I feel about certain issues. In March this year I pitched up in Thurrock, a marginal seat which will be hotly fought-over in the run-up to the next general election. I sat in front of a blank canvas and asked the people of the town to tell me how they felt about welfare reform, the press and the 2015 General Election. I took a team of people to film and photograph the event and to explain to people what the work was about. ‘People of Thurrock’ in the making. 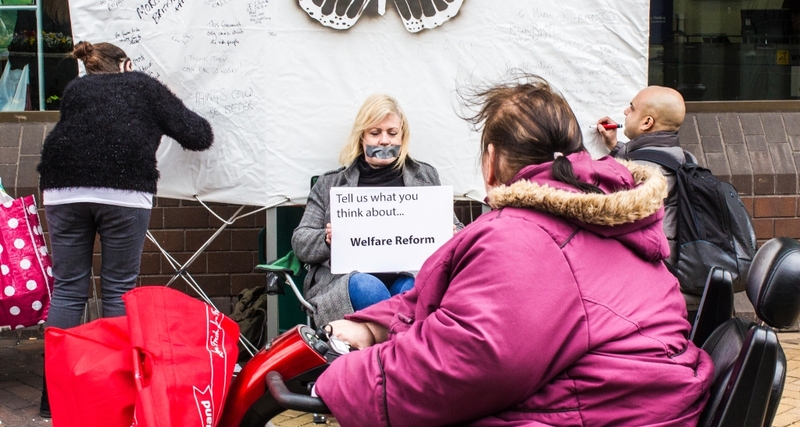 Artist Melanie Cutler sits, silenced, while residents of Thurrock write their opinions of ‘welfare reform’ on the canvas. 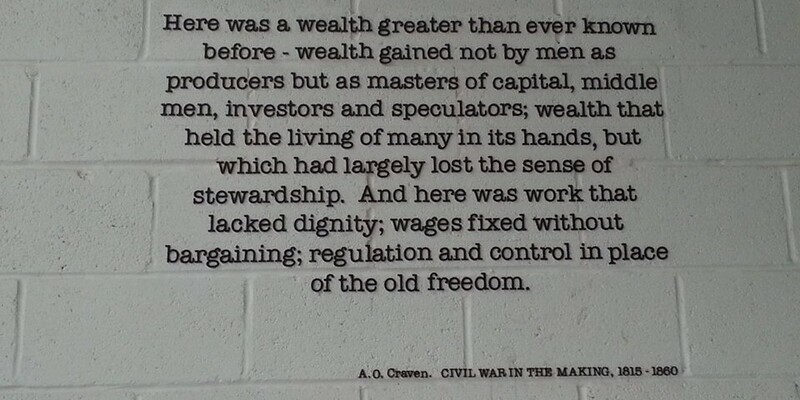 ‘Stewardship’: Each plaque features the name of a ‘welfare reform’ victim and a description of how they died. ‘Stewardship’: This memorial is to Paul Reekie, the Scottish poet and writer who took his own life in 2010. Letters left on his table stated that his Housing Benefit and Incapacity Benefit had been stopped. The poet’s death led to the creation of the Black Triangle Anti-Defamation Campaign in Defence of Disability Rights. 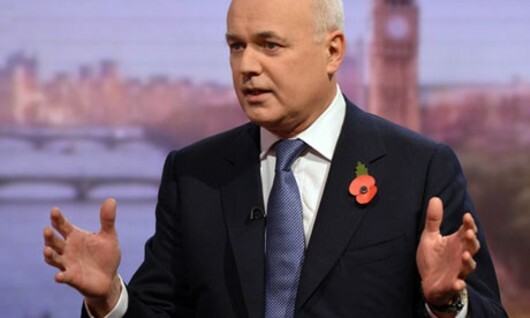 Iain Duncan Smith blames rise of food banks on ‘evangelism’ – pot, kettle, black? 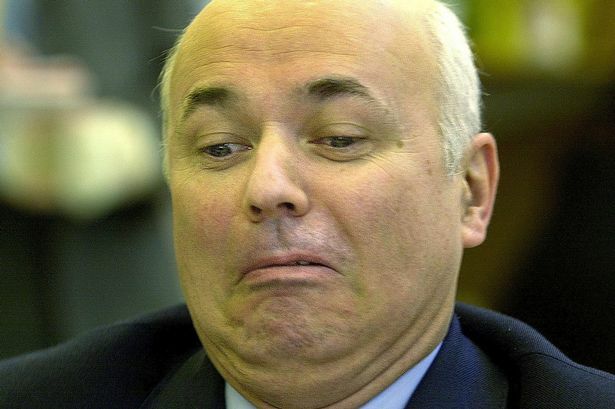 Crocodile tears: Everybody thought Iain Duncan Smith had a change of heart at Easterhouse and intended to help people. Instead, under his direction, the Department for Work and Pensions has caused the deaths of thousands upon thousands of innocent people. The Department for Work and Pensions reckons that the rise of food banks has more to do with Christian evangelism than with helping people who can’t afford food because of Conservative government policies. 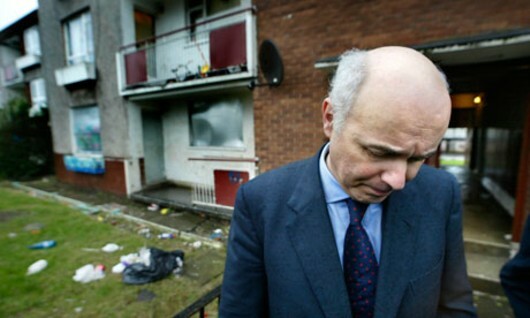 Has Mr Couling forgotten Iain Duncan Smith’s ‘Road to Damascus’ moment on the housing estates of Easterhouse and Gallowgates in Glasgow in 2002? Struck by the run-down housing, visible signs of drug abuse and general lack of hope, Roman Catholic Duncan Smith set out – with evangelical zeal – to do something about it. He now sits in a government that kicks people out of their run-down houses and turns the lack of hope into abject despair by cutting off the benefits they need to survive (his government has pushed wages even further below the amount necessary for people to be able to live without government assistance than ever before). As New Statesman columnist Laurie Penny puts it, Duncan Smith pretends to be “on a quasireligious, reforming crusade”, approaching his work with “particular fervour and self-righteous indignation”. So, really, who do you think is misusing the plight of the very poor as an “evangelical device” for his own “quasireligious” ends? Couling’s attitude defies belief. He refers to a report from Oxfam – one of Britain’s most highly-respected anti-poverty charities – together with Church Action on Poverty and the Trussell Trust, as “unverified figures from disparate sources”. Okay, then. How about the DWP supplying us with all the figures it collects, and we’ll do the working-out? We can start with the deaths of people receiving incapacity benefits. Will Question Time’s panel do what Parliament can’t – and hold Iain Duncan Smith to account? Picture the scene if you can: It’s shortly after 11.35pm on Thursday (June 5) and all my inboxes are suddenly overflowing – with the same message: Iain Duncan Smith will be on Question Time next week. The implication was that there is an opportunity here – to show the public the homicidal – if not genocidal – nature of the changes to the benefit system this man mockingly describes as “welfare reforms”. We were given the name of only one other panellist who will be appearing in the June 12 show, broadcast from King’s Lynn: Private Eye editor Ian Hislop. He is certainly the kind of man who should relish a chance to take the politician we call RTU (Returned To Unit) down a peg or two – in fact the Eye has run articles on DWP insanity fairly regularly over the past two decades at least. Personally I’d like to see him joined by Michael Meacher and Owen Jones, at the very least. A rematch between Smith and Jones would be terrific television (but it is unlikely that the coward IDS would ever agree to it). All such a panel would need to get started is a question about “welfare reform”. Then they could start at the beginning with the involvement of the criminal US insurance corporation Unum, which has been advising the British government since Peter Lilley was Secretary of State for Social Security. There appears to be a moratorium on even the mention of Unum in the British press so, if this is the first you’ve heard of it, now you know why. Unum’s version of an unproven strand of psychology known as biopsychosocial theory informs the current work capability assessment, used by the coalition government to evaluate whether a claimant of sickness benefits (Incapacity Benefit/Employment Support Allowance or Disability Living Allowance/Personal Independence Payment) should receive any money. The assessment leans heavily on the psycho part of the theory – seeking to find ways of telling claimants their illnesses are all in the mind and they are fit for work. This is how Unum wormed its way out of paying customers when their health insurance policies matured – and it is also how Unum received its criminal conviction in the States. Here in the UK, the work capability assessment appears to have led to the deaths of 3,500 ESA claimants between January and November 2011 – 73 per week or one every two hours or so. These are the only statistics available to us as the Department for Work and Pensions stopped publicising the figures in response to a public outcry against the deaths. Members of the public have tried to use the Freedom of Information Act to pry updated figures from the DWP. I know of one man who was told that the 2011 figures were provided in an ‘ad hoc’ release and there was no plan for a follow-up; the figures are not collected and processed routinely. The last part of this was a lie, meaning the DWP had illegally failed to respond to a legitimate FoI request. Having seen that individual attempts to use the FoI Act to get the information had failed, I put in a request of my own and suggested others do the same, resulting in (I am told) 23 identical requests to the DWP in June last year. Apparently this is vexatious behaviour and when I took the DWP to a tribunal earlier this year, it won. But the case brought out useful information, such as a DWP employee’s admission that “the Department does hold, and could provide within the cost limit, some of the information requested”. Now, why would the Department, and Iain Duncan Smith himself, want to withhold these figures – and lie to the public about having them? It seems to me that the death toll must have increased, year on year. That is the only explanation that makes sense. The DWP, and its Secretary-in-a-State, have had their attention drawn to the deaths many times, if not in interviews then in Parliament. DWP representatives (if not Mr Duncan Smith himself) have taken pains to say they have been improving the system – but still they won’t say how many deaths have taken place since November 2011. If it can be proved that DWP ministers were aware of the problem (and we know they are) but did not change the situation enough to slow the death rate (as seems to be the case), then it seems clear that there has been an intention to ignore the fact that people have been dying unnecessarily. This runs against Human Rights legislation, and a strong case could be made for the corporate manslaughter of thousands of people. When we come to PIP, there’s the issue of the thousands of claimants who have been parked – without assessment – for months at a time, waiting to find out if they’ll receive any money. Universal Credit currently has no budget, it seems, but the DWP is clearly still wasting millions of pounds on a project that will never work as it is currently conceived. It would be nice to think that at least one member of Thursday’s panel might read this article and consider standing up for the people, but it’s a long shot. Possibly a million-to-one chance, in fact. According to Terry Pratchett, that makes it an absolute certainty! How can the government’s new ESA specialist claim he knows nothing about all the deaths? Dr Paul Litchfield, here pictured giving evidence at another committee meeting – so it’s probably another load of tripe. An evidence session on Employment and Support Allowance and Work Capability Assessments was held by the House of Commons Work and Pensions Committee on Wednesday – and was notable for the fact that the ‘expert’ hired to review the system claimed to know nothing about the thousands of deaths taking place because of the current system. Dr Paul Litchfield OBE was hired to take over from Professor Malcolm Harrington to carry out the fourth annual independent review of the assessment process. It seems Prof Harrington was replaced amicably, but evidence has come to light that he was not happy with political decisions that ran against his findings. 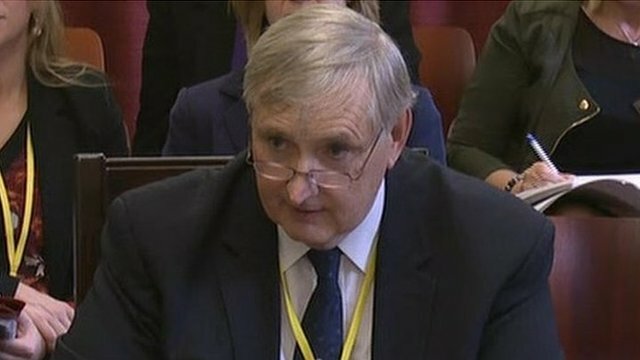 A claim that the government was taking “appropriate steps” in areas singled out for improvement by Prof Harrington was disproved when it was revealed that almost two-thirds of the 25 recommendations he made in his year one review were not fully and successfully implemented. The vehemence of his response suggests some friction with his former employers at the very least – and over “political” decisions. Now we have Dr Litchfield, who claims to have no information about the staggering number of people who have died after going through the assessment system he is being paid to review. Doesn’t that seem – at the very least – a little odd? He could have, at least, looked up the government’s own statistical release ‘Incapacity Benefits – Deaths of Recipients’ from July 2012. It is long out-of-date and pressure on the government for fresh figures has been stonewalled for two years, but it does show that 10,600 people died between January and November 2011 – including an average of 73 people every week, when the system claimed they were still being assessed or should be getting better. These figures are believed to be inaccurate measures as the government does not monitor deaths of people who have been refused the benefit – the vast majority of claimants. It seems we are dealing with another Tory yes-man, hired not to improve ESA, but to make it and the government look good. Dr Litchfield’s attitude is revealed on the video record of the meeting, which is available on the Parliament UK website, starting two hours, 11 minutes and 41 seconds into the recording. It seems the tragedy, in this case, is the hiring of Dr Litchfield. Thanks to Katy Marchant for flagging this up. It is with a heavy heart that I must report that a tribunal has upheld the Information Commissioner’s decision that my Freedom of Information request, seeking an update on the number of sickness benefit claimants who have died, was vexatious. The tribunal agreed unanimously that my blog article, to which I appended a single line suggesting other readers should also submit FoI requests to demonstrate that there are many people who want the latest figures released, was an abuse of the system. If you are unaware of the situation or your memory needs to be refreshed, you can read the article here. But judge Chris Ryan criticised both the Information Commissioner and the Department for Work and Pensions for every other excuse they invented to prevent the death figures from being made public. This was not a glowing endorsement of the Information Commissioner’s – and the DWP’s – stance; in fact, as you will see, the wording of the decision suggests the exact opposite. The very first line of the decision notice states that my request “was in itself innocuous”, meaning that there would have been no reason for the DWP to have refused it if not for the effect of the blog article. But you know, dear reader, that I wrote my request after at least two previous requests – one of which must have been equally “innocuous” as I based the wording of my own on it – had been rejected by the Department. That was why I appealed for public support in the first place. “The combination of the importance of the statistics in their own right and the appellant’s belief, rightly or wrongly, that the Department had no intention of publishing updated figures, led him to take the steps for which he has been criticised by the Department,” wrote Mr Ryan in his decision notice. He then proceeded to trash – comprehensively – all the IC’s (and DWP’s) other reasons for suggesting that it could not answer my request. Turning to motive, Mr Ryan stated that the Information Commissioner had claimed that the request, viewed in isolation, may not have been intended to disrupt the DWP’s main function – but, taking account of the requests that were apparently generated by the blog, this purpose was altered to a stage where it was intended to disrupt the Department’s functions. The Information Commissioner had also tried to bolster his decision by claiming that my article, and its comment column, could cause harassment and distress to DWP staff, but Mr Ryan wrote: “We do not think that there is much strength in the Information Commissioner’s argument. “The request itself is expressed in sensible and balanced terms and, although some of the messages published on the appellant’s blog adopted a more strident tone, we saw nothing that a reasonably robust employee should not have been able to contemplate without distress, assuming (which is not certain) that it was drawn to his or her attention… Little weight ought to be attributed to the risk of staff members feeling harassed or distressed. That was very discouraging to read! But look at this: “We have considerable sympathy for the appellant. “We do not know if he was justified in suspecting that the Department had deliberately concealed statistics about those who died while receiving, or being assessed for, state benefits. Now, you know, and I know – and the tribunal also knows – that the DWP rejected at least two other FoI requests that were phrased along either identical or similar lines as my own, but those last few comments, along with the others strung throughout the decision, make it clear that the tribunal’s view is that there was no reason to reject any of them. Therefore the only reasonable reading of this decision is that the DWP was wrong to reject those previous requests. I must now consider options for the future. The tribunal’s decision seems to clear the way for a request made in exactly the same way as mine (but without the appeal for others to add their voices to it) to receive a full response. But we are dealing, here, with the Department for Work and Pensions under Iain Duncan Smith. It seems more likely that the tribunal’s decision will be ignored and the same excuses will be trotted out, including a now-invalid claim that the Secretary of State is considering how best to publish the figures. For that excuse to work, he would have had to publish them very quickly and it is now nine months since the claim was first made. As the figures are time-sensitive – that is, for them to be useful in considering changes to the system, they should be released as soon as they are known – it makes no sense to delay and the DWP’s claim that doing so is “in the public interest” is disproved. If I do submit another request, the wording of it will have to be carefully considered, to include all the information that the tribunal provided in support of it. Obviously I cannot ask any readers to take any action in this matter at all. In summary, this is a setback but not a defeat. The tribunal has come to a finding based on its reading of the law, but has made it perfectly clear that it was made with reference to events that happened in connection with my request, and not because of my request itself. The tribunal’s opinion was that there was nothing wrong with the request. With this in mind, we may move on. Those of you who have read my report on the benefit deaths tribunal will know that Samuel Miller received a response to his own Freedom of Information request for updated death statistics of incapacity benefit (and ESA) claimants a few weeks ago – but it did not cover the correct dates and was not ordered in a similar way to the ‘Incapacity benefits: Deaths of recipients’ report released in 2012. It was impossible for anyone to consider it an update of the figures in that report, as the Department for Work and Pensions was claiming by sending it to Mr Miller. I reported on Thursday that he had requested another response, made out in an appropriate manner, and that he had been advised he would receive this soon. In fact, he was told the response would arrive yesterday (Friday). That’s right – no show. “As you know, I had asked the DWP to put these latest mortality statistics into context. Well, they haven’t responded by today’s date, as promised,” Mr Miller said on Twitter. Perhaps we can hope this is a simple mistake and the numbers will be with him soon. 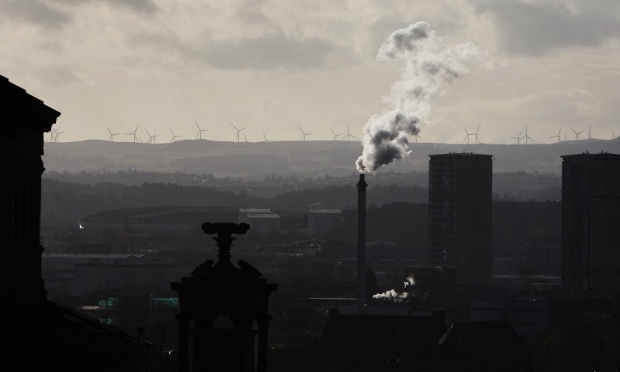 Just don’t hold your breath waiting – or you may become another government statistic. Vox Political may seem a little quiet over the next 30 hours or so. 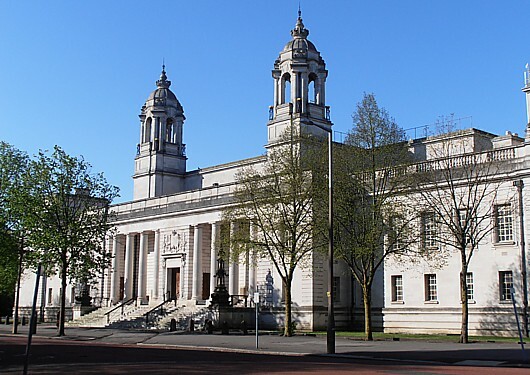 This is because the site’s owner, Mike Sivier (that’s me), will be travelling to Cardiff to take the Information Commissioner and the Department for Work and Pensions to a tribunal. The aim is to secure the release of mortality figures – death statistics – covering people who were claiming Incapacity Benefit or Employment and Support Allowance during 2012. Figures for later dates were not part of the Freedom of Information request that forms the basis of this action (submitted back in June 2013, nearly a year ago), so it is unlikely that these will be forthcoming. The hope is that the tribunal will judge in favour of the information being released, ensuring that further requests cannot be blocked by the DWP. The government’s claim is that a single-sentence, off-the-cuff line at the end of a Vox Political article about the FoI request constitutes a co-ordinated, protracted and obsessive campaign of harassment against the DWP, and for that reason the request is vexatious. It is utterly ridiculous. It brings the DWP and the Freedom of Information Act into disrepute. Yet it is enough to prevent this valuable information from being published. It is important to have the data in the public domain, as a yardstick by which the government’s so-called ‘reforms’ to the benefit system may be judged. Between January and November 2011, 73 deaths were recorded every week, just among people in the work-related activity group of ESA and those going through the assessment process. The government does not monitor the progress of people it has marked ‘fit for work’ and thrown off-benefit altogether, and this group is four times as large as the WRAG, meaning the death toll could be anything up to five times larger than we understand at the moment. The government has claimed that it has been implementing changes designed to make ESA serve its claimants better. An increased death rate will disprove that. Of course, a lowered death rate would support the government’s position but, if this were the case, it is logical to expect the government to have publicised it widely without any prompting. This is why tomorrow’s tribunal is important. People are dying every day and nothing will be done to stop it unless the severity of the situation is made clear. Let’s all hope we get the result we need.